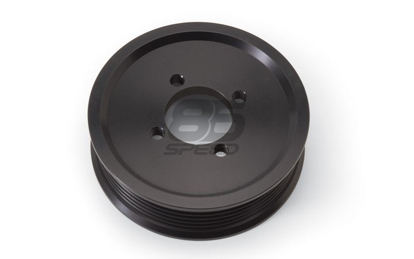 Supercharger made for maximum flow at high RPM while still being extremely daily-able. Compact design. Durable black and red powder coating finish. --- No Thanks! Yes, I always like Free stuff! These systems are emissions legal and provide the best combination for your daily driver. SUR CHARGE FOR RESIDENTIAL DELIVERY. PLEASE LIST IN NOTES IF LIFT GATE IS REQUIRED. ADDITIONAL CHARGES WILL APPLY.